On Aug. 28, Public Health Solutions — one of the largest public health nonprofits in New York City — launched a new smoking disclosure policy through its NYC Smoke-Free program as an effort to reduce tenants’ exposure to smoke. The Queens Tribune spoke to Deidre Sully, the director of NYC Smoke-Free, about the effects of smoking, why the organization is implementing this policy and how the policy would apply to marijuana if it is legalized. 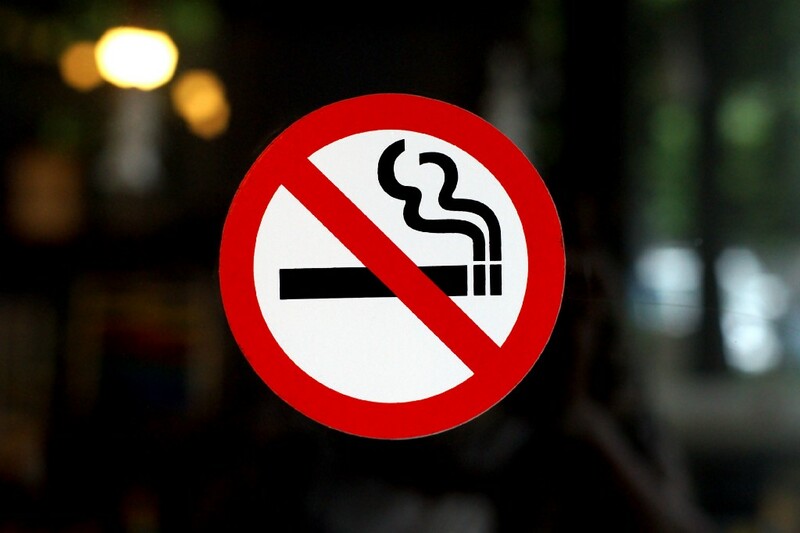 According to the city’s Department of Health and Mental Hygiene (DOHMH), all residential buildings with three or more units in the city must create a smoking policy. The policy must be distributed to tenants and apartment owners annually and incorporated into the lease or purchase agreement, as well as posted in public areas within the building. If building owners don’t comply with the new law, they can face a $100 civil penalty. Sully said that at first, many city residents were uninformed about the policy, which forced Smoke-Free to figure out better ways to explain it. Currently, tenants would not likely be informed of a building’s smoking policy while looking for housing. Instead, they would have to contact the building to find out that information. Sully said that the organization is considering the creation of a list of buildings that are smoke-free, so that it is easier for tenants to search for housing based on their needs. Although NYC Smoke-Free has been advocating for smoke-free housing and a decrease in the use of tobacco, Sully said that there are still pockets of people being missed — for example, the LGBTQ community, the Korean and Chinese communities, and the African American community. Sully said that in a number of minority communities, there are higher amounts of tobacco advertisements, which encourages youths to use tobacco. “The younger you begin to smoke, the harder it is to quit,” said Sully. Sully said that there is a common misconception that smoking rates are going down. According to a recent study by the DOHMH, approximately 867,000 adults in New York City and 15,000 high school students smoke, and more than 200,000 children are exposed to secondhand smoke at home. In Queens alone, 250,000 adults and 5,000 public high school students smoke, one third of whom will die prematurely as a result of smoking. “Our goal is to educate New Yorkers about public health and to put a stop to the tobacco disparities that still exist,” said Sully. Regarding marijuana use in city buildings, Sully said that it is still illegal and, therefore, shouldn’t be smoked in homes. However, the new smoke-free policy includes all items that are combustible and cause smoke to travel. John Morrison, a Jamaica landlord, said that he is flexible when it comes to his building’s smoke policy because of his own personal history. Morrison said he permits smoking in his tenants’ apartments and outside the building, but not in the hallways. He said he also encourages his tenants not to smoke directly in front of the building’s entrance, considering that there are more than 100 families with children residing in his building. Morrison received positive feedback from his tenants — including smokers — after the policy change. “Everyone was on board and appreciated the fact that the safety of the children was top priority,” Morrison said. If marijuana is legalized, Morrison said that his current smoke policy for tobacco would apply to marijuana as well. Jaclyn Ruiz, a Jackson Heights resident, said that she’s not concerned with how the legalization of marijuana could affect current smoking policies, but she is bothered by the popularity of hookahs. “I don’t know if people are doing it because they like it or if they’re doing it because it’s a trend, but I hate walking out of my apartment and being hit with the smoke from my neighbors’ hookahs,” said Ruiz. Ruiz said that her neighbors often leave their doors open and sit at the entrance with their hookah, blowing the smoke into the hallway, despite the fact that the building has a smoke-free sign on the door. “Hookah isn’t as bad as cigarettes, but it is tobacco, so shouldn’t the same rules apply?” Ruiz said. Ruiz recently moved from Washington Heights to Jackson Heights because she wanted a change of scenery. Ruiz said that landlords should be clear on their policies and that tenants, in turn, should be understanding and respectful of those policies. Reach Ariel Hernandez at ahernandez@queenstribune.com or @reporter_ariel.